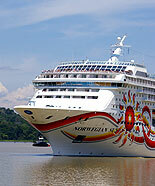 Some local companies offer partial half day Panama Canal Transits and full Panama Canal Transits as well. Best contact the information desk in your Hotel for up to date contact information, for tour cost and dates. Normally those tours go out on Saturdays. 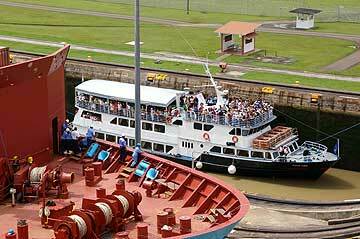 If you have the time its well worth to do one of those tours as it gives you the best views and understanding of how the Panama Canal works and of its magnitude, as well for the best views of all parts of the Panama Canal. The Pacific Queen offers 1 full transit per month which is on a Saturday. 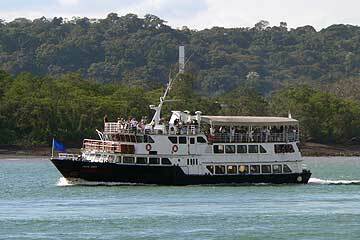 Partial Panama Canal transits are offered every Saturday They may depart from Flamenco Island at 7:30 am for a north bound partial transit, or we will provide a bus departing from Flamenco Island at 10 am to Gamboa for the southbound transit to Flamenco Island. Usually only one partial will be provided, morning or afternoon. Partial transits cruise through both Pacific sets of locks (Miraflores and Pedro Miguel), and the Gailard Cut. 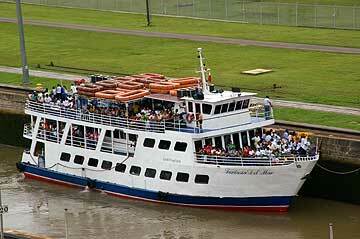 See the One-day Panama Canal cruise Schedules here on their website.